Jessse Erickson offered an ethnobibliographical approach to the aesthetic history of the Ouija Board, arguing that the materiality and material production of texts like the Ouija Board influence how we perceive things like race and culture. 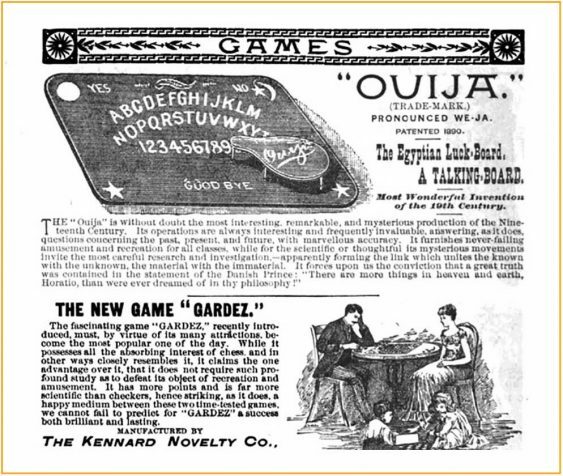 Following a brief consideration of the nineteenth-century ideological and artifactual antecedents of the device (i.e., spiritualism, theosophy, and the occult; planchettes and “The Witch Board”), he surveyed instantiations of Ouija Boards from the late nineteenth-century to the twenty-first century, paying particular attention to different modes of printing and production and the ways in which ever-shifting typography and designs conveyed specific meanings about certain ethnic and racial categories in particular social-historical moments. Art Seto, in a sweeping presentation that began with personal reminiscences of Chinese Americans playing tile and card games in public spaces during his childhood and youth, surveyed the history of Chinese printing, connecting major developments to specific mystical and supernatural purposes like divination and spiritual instruction. He examined antecedents like hànzì carved into bones and tortoise shells as well as the Buddhist cave paintings of Dunhuang before moving to considerations of the kinds of wood block-printed paper pages that appeared in China in the first century. 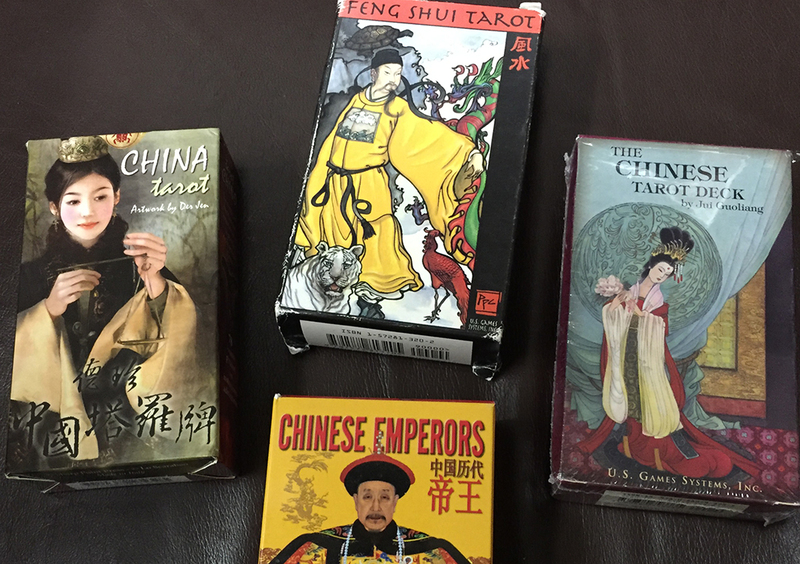 Seto concluded by examining how printed Chinese playing cards are at once a culmination of this printing tradition but also how, because of their role in contemporary divination and astrology, they hearken back to the very origins of this tradition. Sally Hildreth utilized Marshall McLuhan’s concept of the Gutenberg Galaxy in order to come to grips with the decline of astrology as a serious way of knowing after the Enlightenment, and also to suggest that several key features of McLuhan’s Electronic Age might lend themselves to a revival of astrology as a legitimate intellectual endeavor. Specifically, Hildreth noted that it was print culture’s foregrounding of the visual and the material and its emphasis on objectivity and standardization that relegated astrology to the fringes whereas once it had been integral investigative equipment utilized by the likes of Newton, Copernicus, and Galileo, for example. 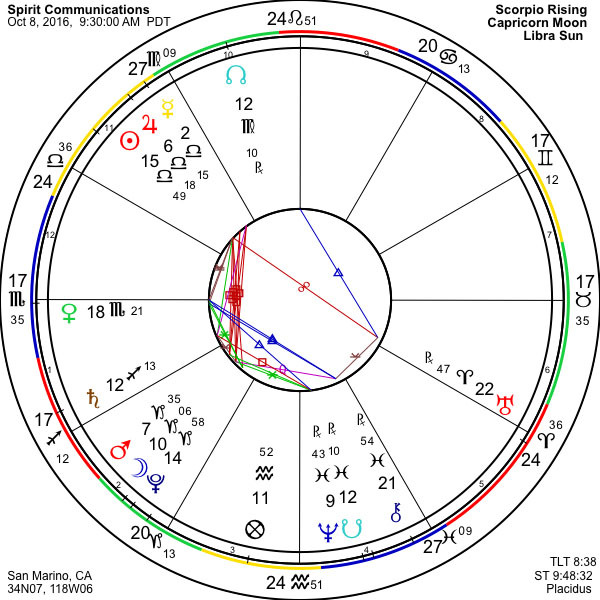 She argued against the characterization of astrology as a predictive tool and instead suggested it might be rehabilitated as a way of knowing and contextualization “in the vast collective environment” (i.e., McLuhan’s Global Village), and a mode that might help cushion the transition from a print-based to a digital landscape. 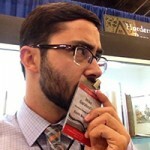 Mike Garabedian is the Collections Management Librarian at Wardman Library at Whittier College and the secretary of the Southern California chapter of APHA. He has an avocational interest in the bibliophilic history of Southern California, has written on shared print consortia and the future of print books in academic libraries, and recently co-authored a book about the history of Whittier that was published earlier this year.